In this episode of The New Stack Analysts, we explore how to apply existing models of networking, security and storage to new containerized environments. Cisco Chief Technology Officer of Cloud Infrastructure Services Ken Owens discusses how adopting a DevOps focused mindset to containerized workflows can further improve container networking, security, and storage as a whole. The interview was conducted to prepare for our newly released fourth eBook surrounding Docker container Networking, Security, and Storage. The New Stack founder Alex Williams and co-host Lee Calcote spoke with Owens during DockerCon 2016. While developers have embraced containers as a part of their everyday workflow, some members of today’s enterprise IT teams may find themselves struggling to put them into practice. However, Owens explained that bringing containers into one’s networking and security workflow can bolster a team when coupled with a DevOps focused mindset. “The network and the security teams, they’re becoming more software developers in a sense. It’s kind of the DevOps model they’re moving toward. If you’re a network or a security person today, you don’t understand DevOps. You’d want to spend some time getting up to speed on ‘What is DevOps?’” Owens said. DevOps at its core is all about automation, Owens then explained. By automating various segments of one’s workflow, networking and security team members can begin to think like more like software developers. “The next train of thought would be, ‘How do I go through this container model,’ and how do I take what I understand about networking and SDN and apply it in a similar manner to containers?” Owens said. Some see container orchestration and scheduling tools as the answer to these concerns, while Owens highlighted that many of the existing platforms today are not built for the demands of today’s highly scalable infrastructures. Cisco is a sponsor for The New Stack. 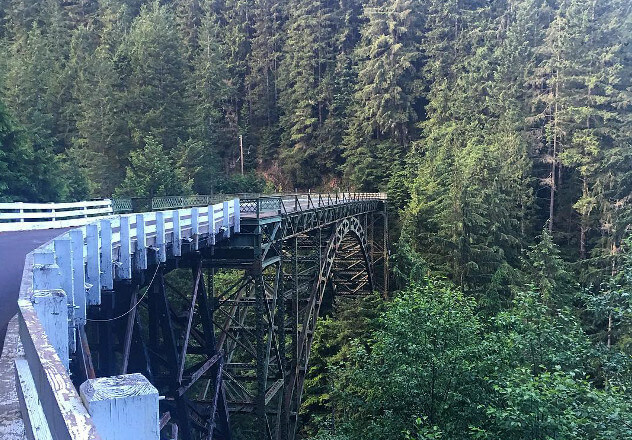 Feature image: trestle bridge, Carbonara, Washington.